After the November G-Summit in Prague, we had the opportunity to be invited by Genesys to attend the G-Summit in Bratislava on 21.06.2018. Participants were customers and partners from Slovakia. We were surprised to see what a step forward made by Genesys halfway through. Genesys is still the number 1 contact center for all rating agencies. In an area that resonates in IT today, such as Artificial Intelligence, chat bots where Genesys offered Kate Gateway is Kate Framework is today..
Genesys introduced new product : - Alto Cloud AI (https://www.altocloud.com/), which in its own name, as obvious, contains artificial intelligence and serves to support customer journeys in a real time and predicts the chance to win the customer. The company that choose to deploy this solution together with Genesys contact center, can in real time intelligently respond to the customer's journeys through the company's communication channels, thereby promoting product sales and increasing customer satisfaction. If the customer is interested, the Genesys Promotion Program offers a proof of concept. Chatbot is a buzzword, but it is important to properly deploy it and create the correct usecases. 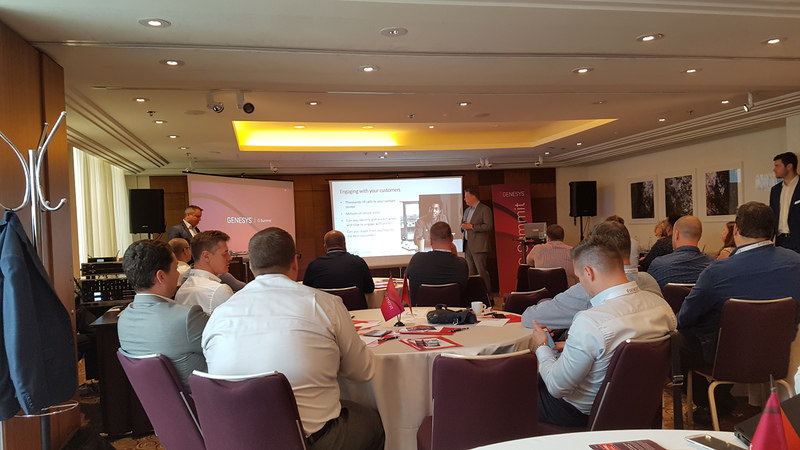 Another very interesting presentation was the revolutionary and very attractive Workload Management product (https://www.genesys.com/definitions/what-is-workload-management), where up to 20% FTE savings are expected.. It can be used for IT helpdesks, workforce management teams working in the field when installing telecommunication operations, water, gas and power companies, generally for effective resource planning. Genesys best left it to an end. Genesys PureCloud (https://www.genesys.com/purecloud) An incredibly fast growing full cloud contact center, where the functionality increases every week. The customer does not have to worry about anything. PureCloud is deployed on Amazon Web Services, with the highest performance, availability and security that can be achieved today in the world of IT. Individual functionalities are programmed into microservices that can dynamically allocate CPUs, memory and performance, and at the given time the customer has the greatest performance he can imagine. It contains everything you can imagine in the solution, including cobrowsing, webchat, kapman module, IVR. More info at(https://help.mypurecloud.com/). We have the news for you, CCW will be the official partner for PureCloud, and we are currently preparing and training experts to bring this innovation to our region.